Third Party Advertising Media is Big Business in Australia. 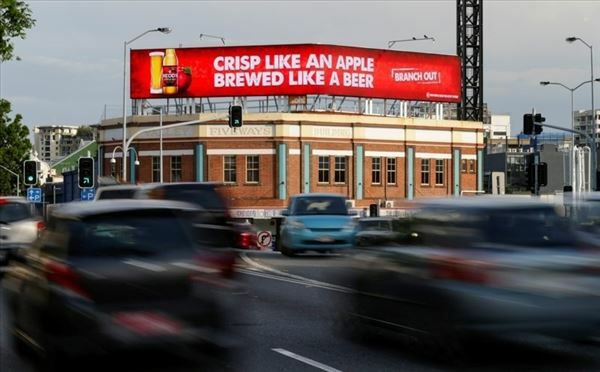 The most recent figures from the industry’s peak body in Australia, the Outdoor Media Association, nominate revenue of $789.5 million for Out of Home (OOH) advertising across Australia for its members in 2016. Two interesting and related trends can be noted. Firstly, $296.4 million (37.5 per cent) of the total revenue generated is through roadside billboards, which is an approximate 33 per cent increase in the sector’s $197.8 million revenue in 2014. Secondly, digital OOH media as a percentage of total OOH has increased from 17% in 2014 to 40.2% in 2016. These figures are quite telling of a story we are seeing; roadside billboards (particularly digital), and digital advertising media generally, are increasing in prevalence within Australia due to strong demand for advertising services. As expected, there exist local council and State Government regulatory frameworks, often requiring for approval to be granted for specific advertising devices in Queensland. Approvals pathways differ across jurisdictions, and can range from an application made under a Local Law (e.g. Brisbane City Council), through to an Impact Assessable development application made against a planning scheme (e.g Logan City Council). In other circumstances, applications can also be made directly to the State Government. From a regulatory standpoint, Jensen Bowers specialises in managing third party advertising device projects from inception through to approval in Queensland. We provide our services to a range of clients, from small operators through to large corporations. Jensen Bowers’ investment in laser scanning surveying equipment and point cloud modelling software produce the perfect deliverable to support advertising device applications: a scale accurate, three-dimensional ‘fly through’ model. Learn more here.